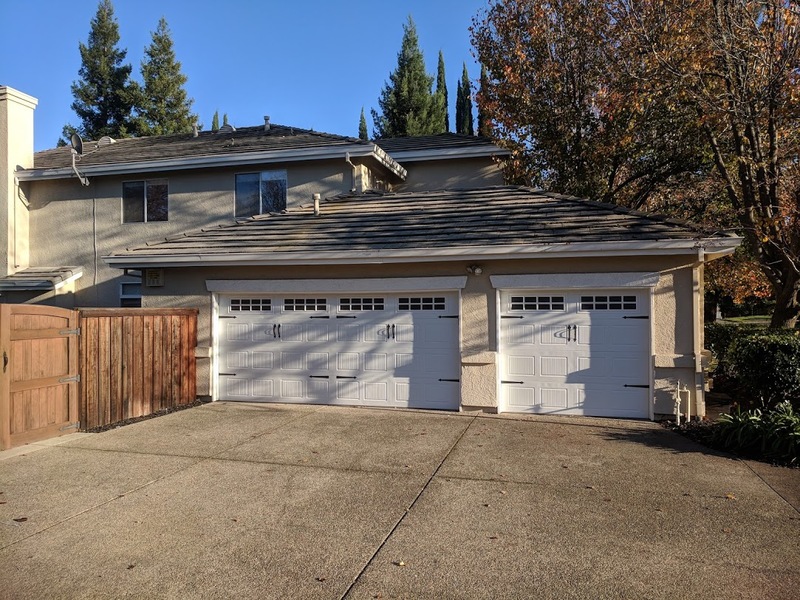 Our customers, Kevin and Whitney in Granite Bay, gave us a call. 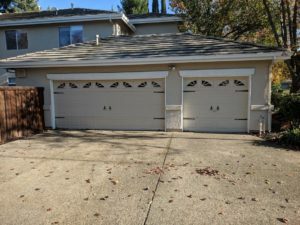 They wanted us to inspect their garage door system. Their garage door opener was broken. They also had a tension cable that was broken and two of their rollers had come off. 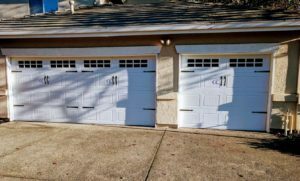 Thankfully their cars weren’t parked inside when the door broke, so they weren’t impacted too much by their garage door problems. 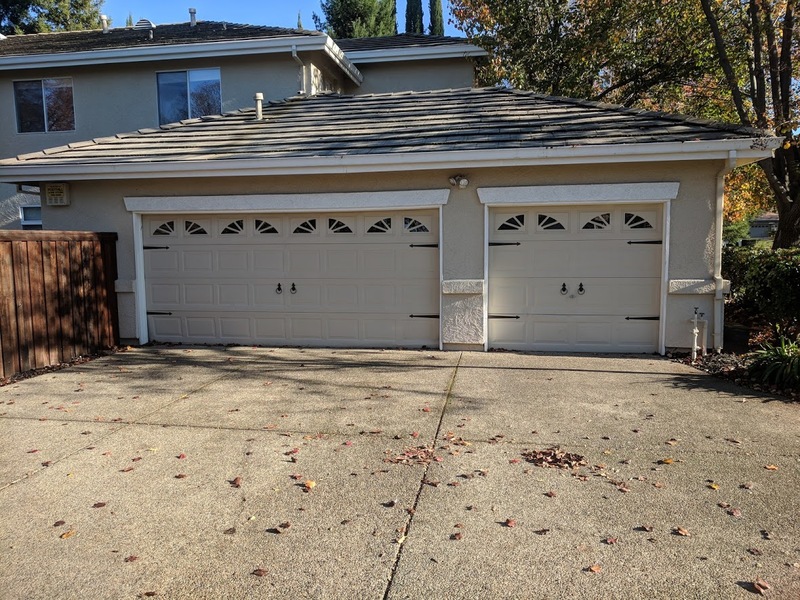 They decided that instead of repairing what they had, they would finally upgrade their garage door as they’d been planning doing it for a while. The garage doors are the original doors to the house and they had been wanting to change them for a new design since they purchased the home 7 years ago. 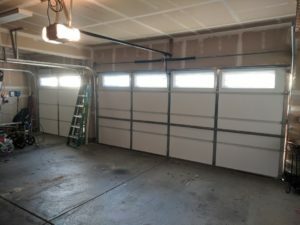 Above is Kevin and Whitney’s existing garage doors. After searching for a door that looked good and fit in their budget, they ultimately went with a 325 model door by UDT. The model they chose comes with a carriage door stamp. They also decided that to customize their door and get the look they wanted, they would add Stockton style windows and some decorative hardware to the outside of the doors. 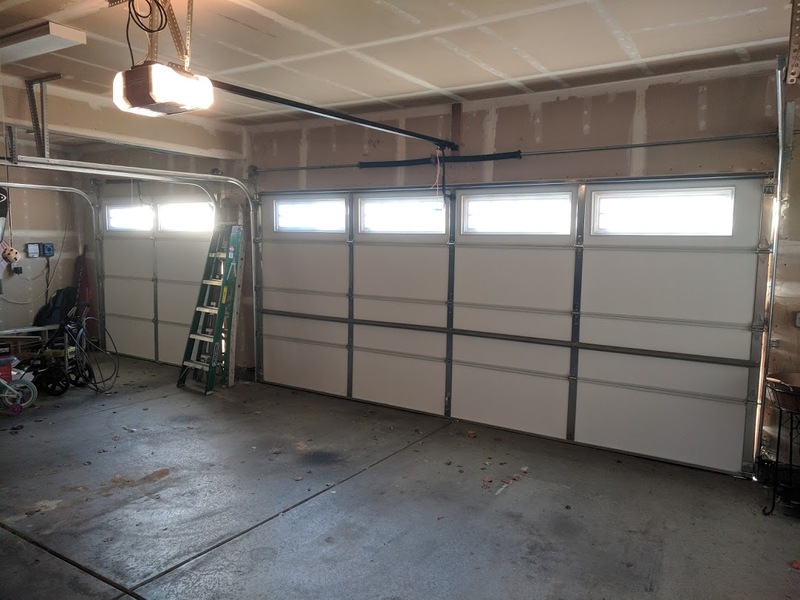 Above are Kevin and Whitney’s brand new garage doors. Don’t they look great? The Stockton windows are great, more modern upgrade to the home’s exterior. Above you can see a little bit closer detail of the new garage door hardware and carriage stamp detailing. 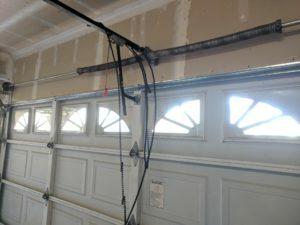 Since their garage door opener was already broken, we also installed new openers on the new doors. Kevin and Whitney chose the 8550W model by LiftMaster. These openers are belt drive, which are very quiet and requires little maintenance. They also come complete with WiFi abilities and a battery backup system. Above you can see the new LiftMaster 8550W installed in Kevin and Whitney’s garage. 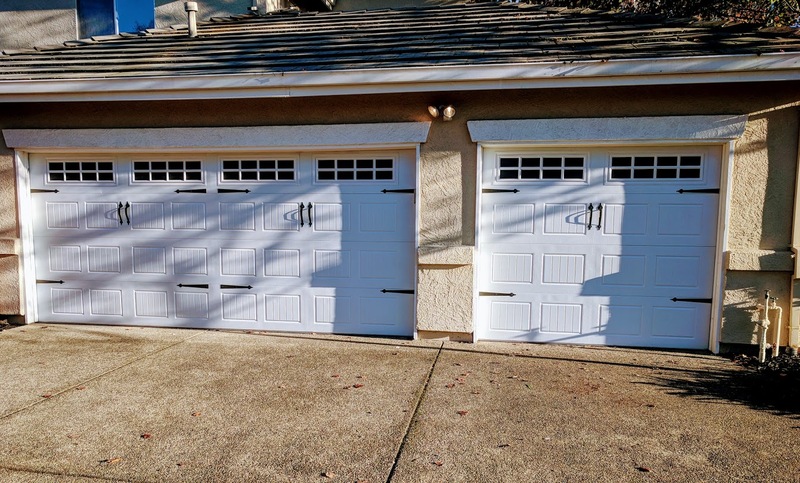 The doors also look great and new from the inside of the garage as well!